Norwegian caves packed full of American military equipment, ammunition and vehicles provide a unique capability that is more important than ever, a senior US Marine has said. Billions of dollars worth of kit has been stored in a series of fortified caves in undisclosed locations as part of an agreement between the US and Norway that is more than three decades old. The bilateral arrangement between the two countries sees the millions of dollars a year bill for upkeep split between them, with Norway keeping the contents in good working order. Major General Dave Furness, the commanding general of the US Marine Corps 2nd Marines Division, said having prepositioned equipment, either in caves or on ships, allows for speed of assembly. “It is a unique capability – the Norwegians take really, really good care of all the equipment. It is all in first class shape,” he said. Asked whether the equipment-stocked caves are a capability that is more vital than ever in the face of a resurgent Russia, he said they were “reconstituted” several years ago after kit was taken out during the campaigns in Afghanistan and Iraq. With three separate cave sites, he said there is enough equipment to stand up a Marine Expeditionary Brigade – which could comprise more than 9,000 personnel. 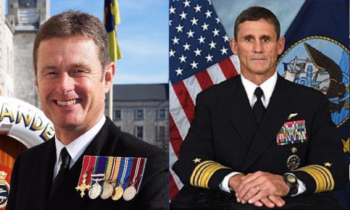 They are currently taking part in Exercise Trident Juncture, which involves more than 50,000 troops, 65 ships, 10,000 vehicles and 250 aircraft from all 29 member states of the alliance and partners. Beginning last week, it is taking place in Norway – a country which shares a border with Russia – and comes amid rising tensions between the Kremlin and the alliance. Lieutenant Colonel Joe Moye said half the equipment being used by the 2nd Marines Division has been taken out of the caves for Nato’s biggest military exercise since the end of the Cold War. He described the cave complex as a “warehouse inside a mountain”, with no bare rock showing and that simply looks like an unassuming mountain on the outside. The battalion and combat logistics commander said that as well as working with allies, they are also using Trident Juncture to understand how to use those supplies and generate a force. Maj Gen Furness was speaking from Camp Odin, named by the Norwegians after the most powerful Norse god, which acts as the 2nd Marines Division headquarters or tactical assembly area. With more than 1,100 Marines and 600 vehicles under his command during the exercise, the troops, who live and work in a mass of tents, are sent out to nearby strategic positions. 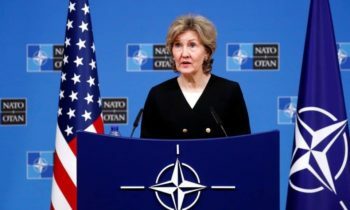 Based around a fictitious attack on Norway’s sovereignty, resulting in Article 5 of the North Atlantic Treaty being triggered, Trident Juncture is testing Nato’s collective capacity and capability to respond. 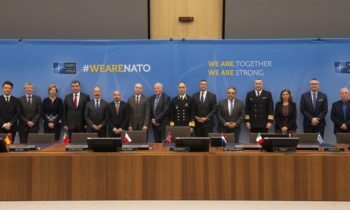 Maj Gen Furness said they are there to show “we can get here, deploy quickly, assemble a force and be a credible deterrence against any Article 5 violation in the Nato region”. He said the large exercise helps them understand complexity of scale, and is good for the young marines to learn how to work and operate in a cold environment, a skill he said is “critical” to gain. “We have to be good at fighting across the globe,” he added. Hospitalman Amir Shaheed, 22, from Maryland, has been in the US Navy for four years and is attached to the 2nd Marines Division. Corporal Bradley Teague, 21, who is originally from Tennessee, in the US, said that the weather in Norway was “constantly changing” – which can be a challenge. “It is a different experience from home,” he said as rain lashed down. “It goes from wind, to freezing temperature, to sunshine and then there’s the mud. 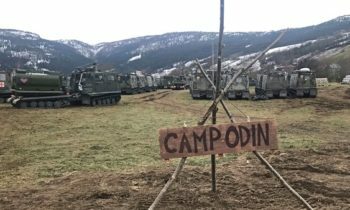 His troops will take part in a simulated seizure of the town of Oppdal and the surrounding area on Thursday, as Spanish and Italian forces counter their attack.